In the world of food, certain cuisines stand out amongst others for their flavors, their use of ingredients, and their innovations gifted to the culinary world. Whether it’s a delicious bowl of Boeuf Bourguignon from France, or a variety of dim sum from Hong Kong, certain foods are inherently connected to the places from which they hail. Arguably, no group of people have mastered this connection better than the Italians. From pasta to pizza, Italy’s contributions to cooking are significant. They have mastered the marriage of simple ingredients like tomatoes, olive oil, basil, and cheese. Seriously, leave it to the Italians to combine just four ingredients and call it a Caprese salad. And in what other culinary culture can one find dozens of variations and shapes of a simple pasta noodle? But Italian food goes far beyond such famous dishes as lasagna and ravioli. From a wide variety of breads and soups, to entrées focused on fresh seafood, and proteins from pork to rabbit, Italians have found a way to use the bounty of their country in countless delicious ways. And although most world-renowned classics come from the south (think margherita pizza and pasta with marinara sauce), northern Italy boasts its own set of culinary contributions. Famous ingredients like prosciutto di Parma and Parmigiano-Reggiano hail from the north, and marry perfectly well with dishes like polenta, hearty stews, and rich cream sauces. All of this goes to show that Italians have done one thing better than most cultures; they’ve taken high-quality ingredients from across their country, and combined them in simple yet sophisticated ways to produce a cuisine that is eaten around the world. They have mastered the science of delicious food, proving that appetising dishes don’t have to be complicated or fussy, they just have to come from top-notch ingredients. And that’s absolutely what makes Italian food so well-loved; people are drawn to classic flavor combinations, to simple preparations, and to a cuisine that feels familiar and personal. With Italian immigrants establishing communities all over the globe, people have grown up with staples like pizza and pasta. Everyone feels a connection to this cuisine that has found a home in countries the world over. 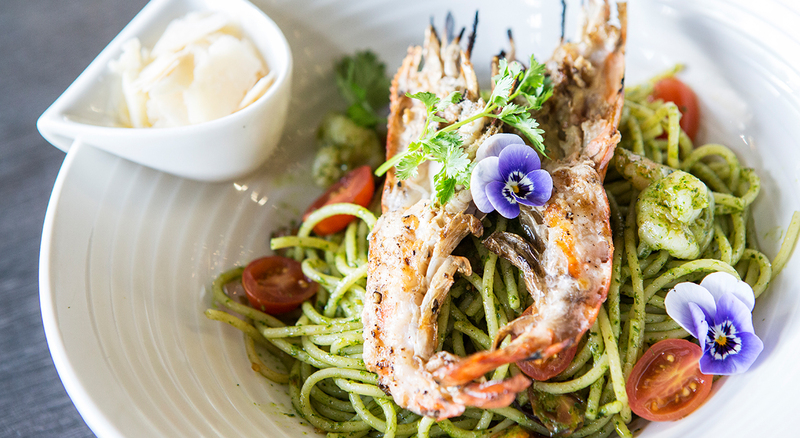 When defined by its use of ingredients, it’s not a stretch to imagine that delicious Italian food can be found anywhere that great ingredients and a skilful chef reside. Such a place exists in the heart of Chiang Mai, Thailand at Italics. This contemporary Italics Italian Restaurant, is located in the boutique hotel Akyra Manor, positioned just outside of Chiang Mai’s Old City. 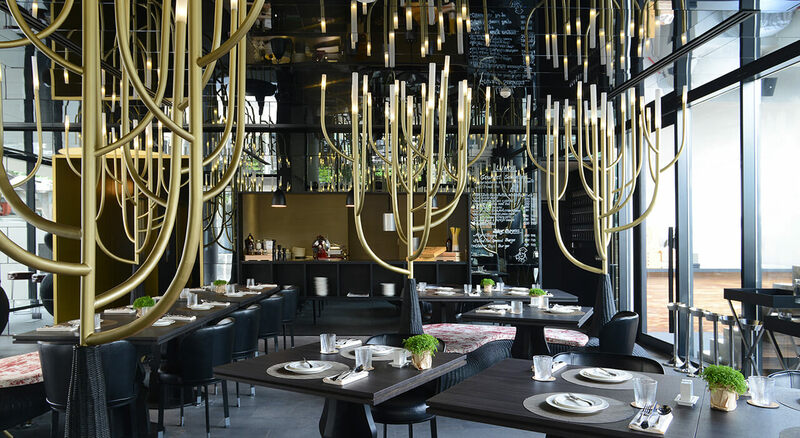 With another location in Bangkok that opened back in the spring of 2015, Michelin-starred chef James Noble is taking his innovative concept up to Chiang Mai to show off the restaurant’s use of Thai ingredients in Italian cuisine. All of Italics ingredients are sourced from within Thailand, with a focus on organics and sustainability. Using pork from Chiang Mai, eggs from Pranburi, and herbs grown at Pak nam pran, diners will know exactly where their food came from and can feel good about eating local Thai products. Not to mention, the use of strictly local ingredients inherently means better tasting food. Thailand is home to its own world famous cuisine, a feat that partially comes from the use of high-quality ingredients. Rather than outsourcing its products, Italics has capitalised on the local food scene and found ways to incorporate Thailand’s excellent meat and produce into its dishes. And not only is Italics taking advantage of Thai ingredients. They’re also using them to transform Italian classics and give them a new life. From pizza topped with sour pork, scallops served with papaya salad, and the use of ingredients like chillies and edamame, Thai flavors are freshening up the menu at Italics. But Italics isn’t only offering quality antipasti, entrées, and desserts, they’re also setting themselves apart as a go-to destination for drinks. The only place you’ll find anything imported on the Italics menu is on their wine list. With offerings from around the world including several bottles from Thailand, Italics is a great place to grab a glass of wine – a rare find in Chiang Mai. By using fresh ingredients from a bountiful local economy, and transforming them into a world-renowned cuisine, Italics has taken something familiar and enlivened it with an interesting twist. Italian food will always be cherished. 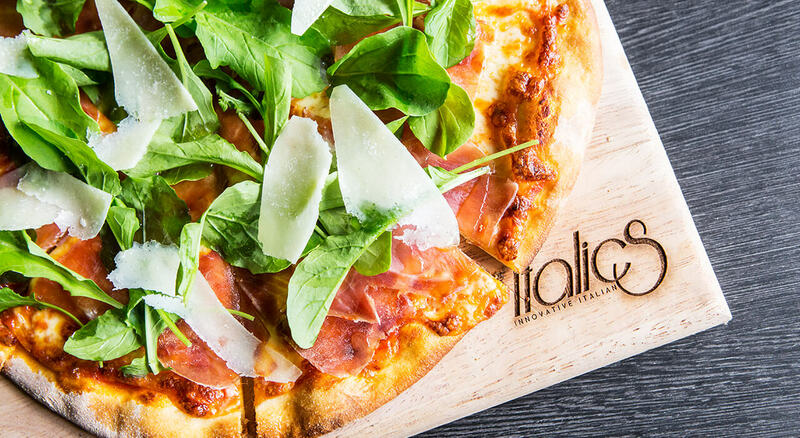 From classics like pizza and pasta, to the combination of simple ingredients, it’s no wonder the world has fallen in love with the cuisine of Italy, making its transformation into something new and exciting at Italics an even bigger feat. But whether you’re looking for classic Italian fare or an innovative twist on something familiar, Italics in Chiang Mai is sure to please.